more eggs! DONALD DUCK: You can say that again! What? Whoa! MICKEY MOUSE: Whoa! Whoa! Hold onto your hats, everybody! GOOFY: Hey, come back here! Come back! Gotcha! Gee-willikers-gee! This is the strongest wind I've ever seen! Yow! MICKEY MOUSE: Whoa. DONALD DUCK: Whoa. 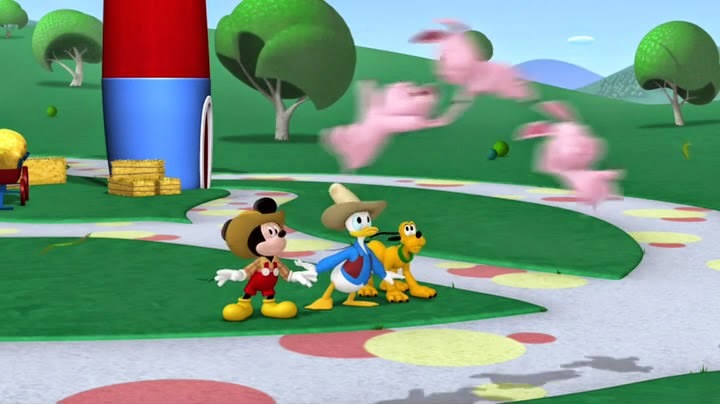 MICKEY MOUSE: Flying pigs? DONALD DUCK: Now, there's something you don't see every... Say, what's the big idea? PROFESSOR VON DRAKE: Whoo boy! Looks like a super-duper storm is on its way. Which means we got a lot of wind whooshing around here! MICKEY MOUSE: Yeah! That wind could really wreck the farm. And if that happens, we won't have any food! PROFESSOR VON DRAKE: Shush and quiet, Mickey. Would you listen to that? Oh, the wind never sounded like that before! 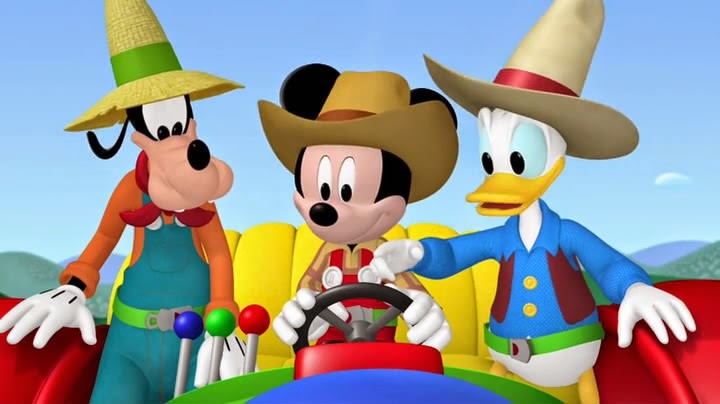 MICKEY MOUSE: Come on, guys, hop in the clickety-clack tractor. Let's find out what's making that strange sound! 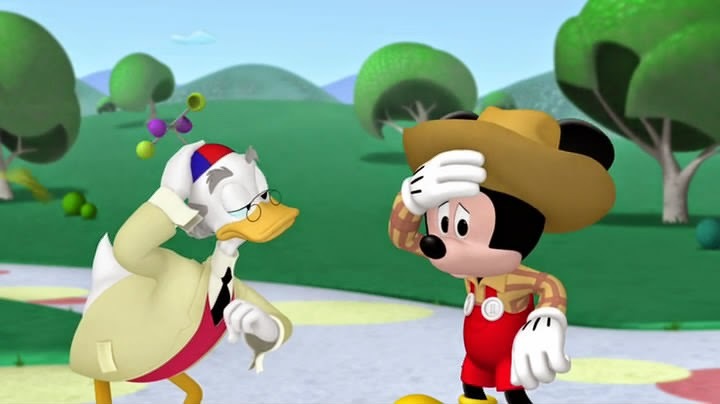 DONALD DUCK: Come on, Mickey, go. Go! MICKEY MOUSE: Hold on, pal. We pull the red lever when we want to stop the tractor. So which lever makes it go? 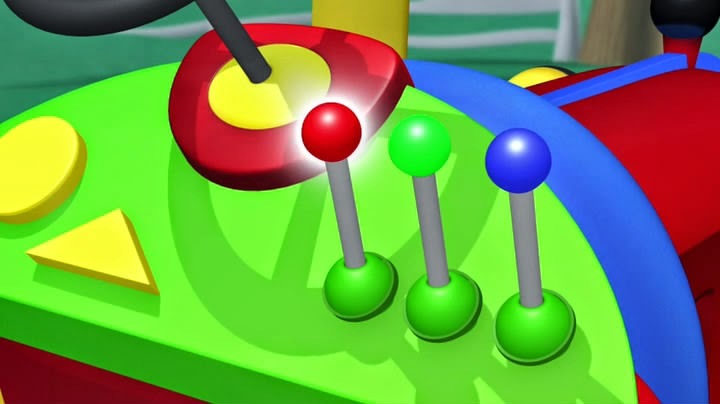 GOOFY: Well, if red means stop, then green means go. DONALD DUCK: Do the green! Do the green! MICKEY MOUSE: You got it, Donald. GOOFY: Gosh! Would you looky at that! It's a giant windy-mill! 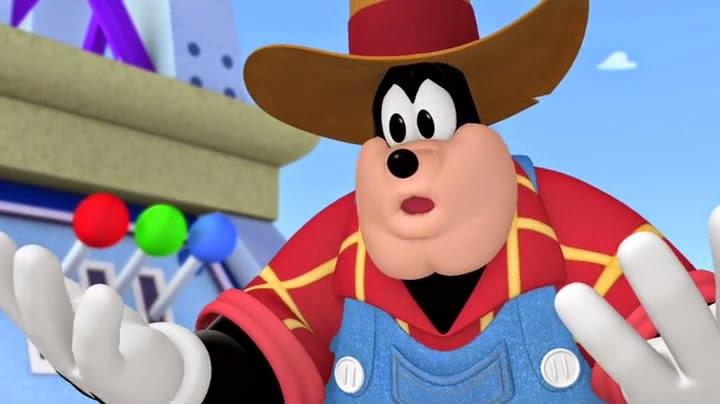 DONALD DUCK: Farmer Pete! What's going on? 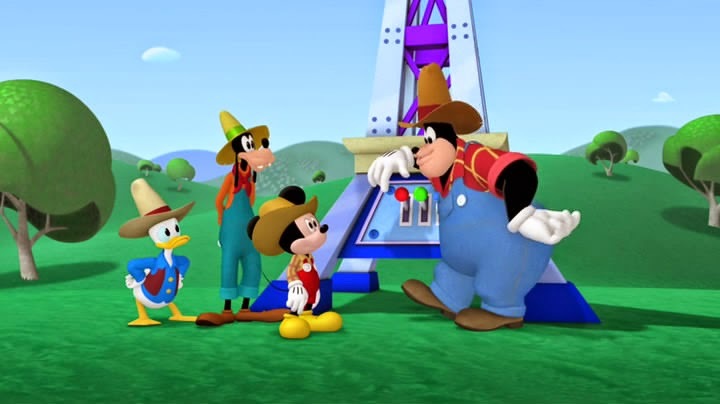 PETE: Well, hi, Mickey the farmer mouse! Sorry for all the wind. You see, I was using my new windmill to keep all the bugs away from my prize petunias.